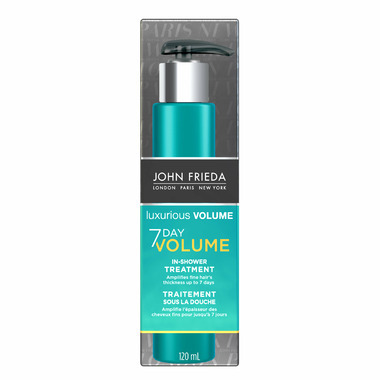 Illuminate light, bright blonde and never be dull with John Frieda Luxurious Volume 7 Day volume In-Shower Treatment, the perfect platform to build full, touchable styles. I can't say 7, but this product definitely gave my hair more body for 4 days last time I used it. Thank you Well for the trial size - I'm going to purchase this product again.